IFANglobal is a leading Healthcare recruitment agency with offices in India and Denmark. Most of their clients are in Europe, United States and Singapore besides they have been associated with Medanta Hospital in Gurgaon since a long time for recruitment of Nurses, Physicians and other Healthcare Professionals. 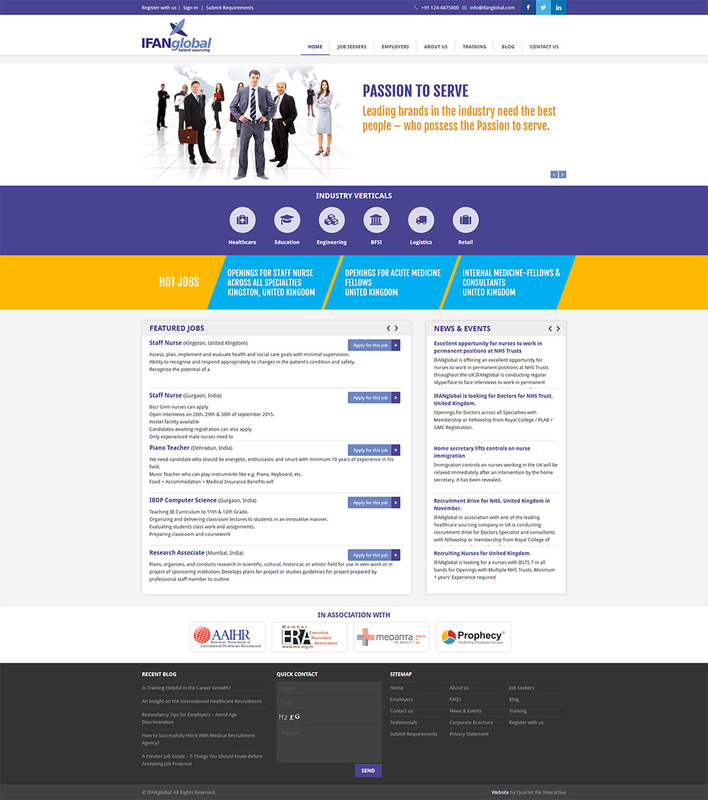 We did a complete redo of the programming on the website which was originally done using ASP.net by precious web design agency and the client preferred to have this hosted on Linux to take advantage of Search Engine Friendly URLs, easier maintenance and control over complete source code.